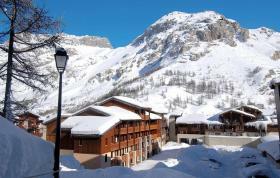 Val d'Isère is first and foremost an authentic village characterized by its old stone walls, its history and its mountain dwellers. Thanks to the Savoyard soul, the atmosphere here is particularly warm and lively. 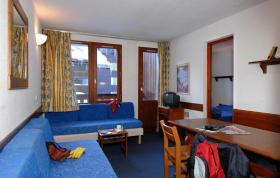 All snow sports are possible here, but also cultural and leisure activities go hand in hand here. 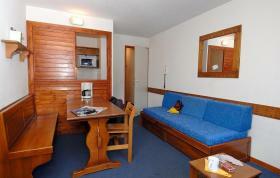 The large elegant chalets are 200 to 500 meters from the shops and other facilities. 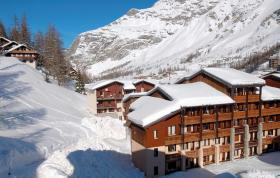 In the vicinity of the beautiful holiday destination Val d'Isère lies the National Park La Vanoise, the mountain passes of Iseran and Petit Saint Bernard, the Baroque route and the Forts of the Savoy. You can make beautiful walks in nature, alone or with the whole family, you will enjoy the relaxation and inner peace. Enjoy the most pleasant holiday of your life in the residence Les Jardins de Val - Verdets- an ideal place for you and your whole family! 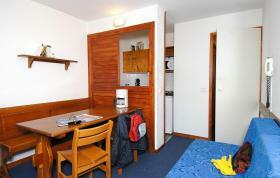 This 2-room apartment is suitable for 4 persons and has an area of about 26 - 31 m2. 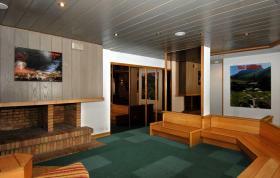 It includes a living room with a pull out bed for 2 persons and a bedroom (or a big cabin) furnished with either a bunk bed, double bed or a pull out bed for 2 persons. The accommodation also features a fully-equipped kitchenette with fridge, 4 electric hotplates, dishwasher and microwave (or oven), as well as a bathroom with toilet. Generally all the accommodations have a balcony. A set of extra services is also available. Payment for the extra services is to be made locally. 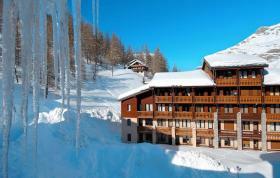 The residence is 200m from the shops, 300m from the nearest ski lifts of Val d'Isère ski area in the Savie in the French Alps .. 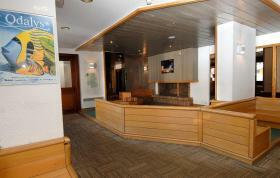 Guests can use the ski lockers, covered parking for a fee, Wifi for a fee at the reception from the Jardins de Val. FREE: KDO * pass for activities on the resort in July and August with; unlimited access to the "Center Aquasportif" ski lifts and swimming pool (except for the well-being area), 1 half-day guided tour, 30 minutes of archery, 1 free access to the golf course with a 30-ball bucket, 1 shot session with 15 bullets, 1 free entrance to the Fun Park (half day without equipment). You can borrow an iron and ironing board. For an additional fee you can rent facilities such as a television, final cleaning, baby kit with bed, highchair and bath, towel set or cleaning kit. Bed linen is provided. Pets are allowed for an additional fee provided they have a valid vaccination certificate and tattoo, dogs must always be kept on a leash at the residence.